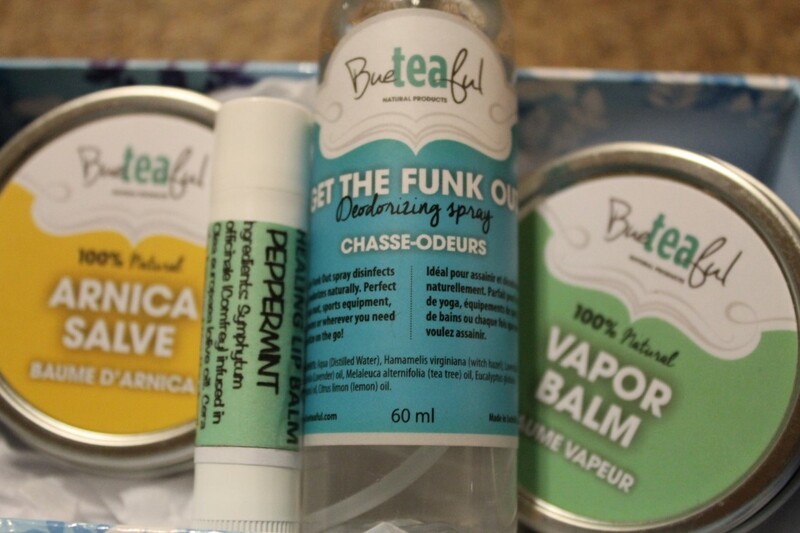 Bueteaful is a New Brunswick based company that produces premium tea and natural products ranging from essential oils, room sprays, to body products, and beyond. Bueteaful believes in using the highest quality tea blends and ingredients, including organic ingredients grown right in Sari’s (the owner’s) own home garden. A majority of her products (which are all handmade with love) are 100% natural and organic. 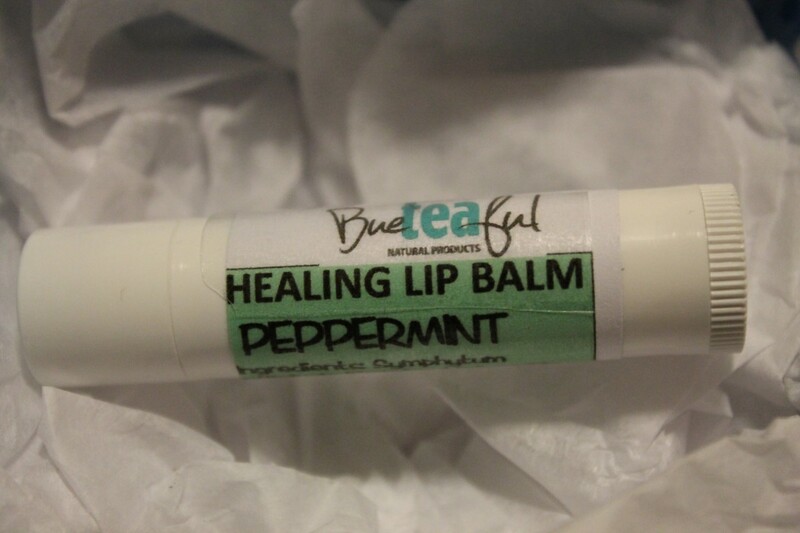 Bueteaful customizes in one of a kind lovable teas, teaware, aromatherapy sprays, healing salves & balms, and lip balms. Who wouldn’t want to buy good for the earth natural products, while supporting a local artisan at the same time? Bueteaful makes it easy for me to get through the harsh Canadian winter (not to mention cold and flu season) and to support my yoga practice with their natural body products and tea. Luckily for me, I can find Bueteaful at my local Farmers Market. I fell in love with Bueteaful, a small forward thinking local company with an exceptional understanding of the tea industry, tea trends, packaging, and customer preferences. I love Sari’s turquoise packaging. Each time I visit Bueteaful’s Facebook page I see that Sari is running another contest to name a tea or come up with a new and innovative tea blend. She is always ahead of the game. Bueteaful also sells their products at Bodywise Yoga Studio (my regular yoga studio), which makes it really easy for me to access their products when I need them. 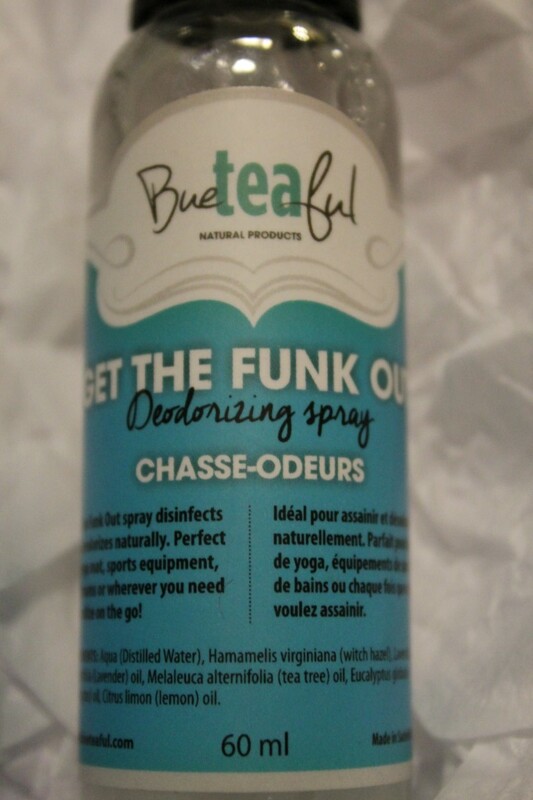 After yoga class, I clean my yoga mat with Bueteaful’s glorious scented Get the Funk Out deodorizing spray. 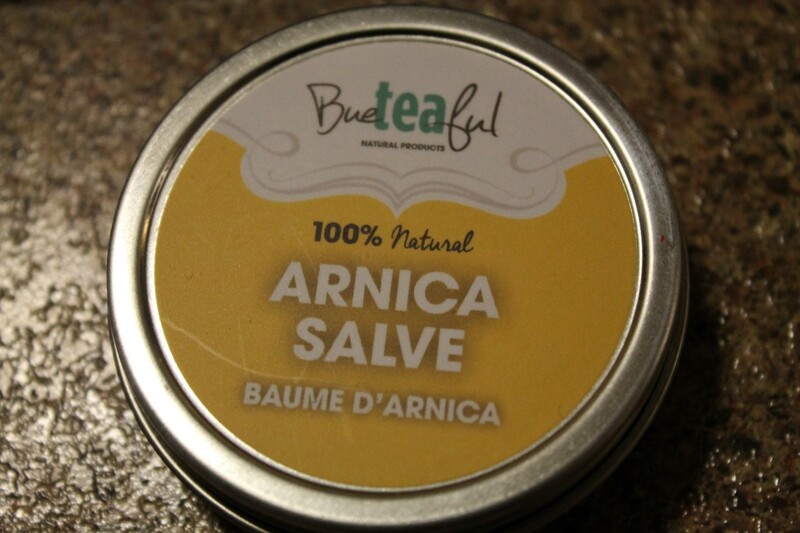 After a hard workout, I sooth my muscles with arnica salve. When I am stuffed up and feeling blue, I use the vapor balm on my chest and neck to alleviate congestion. 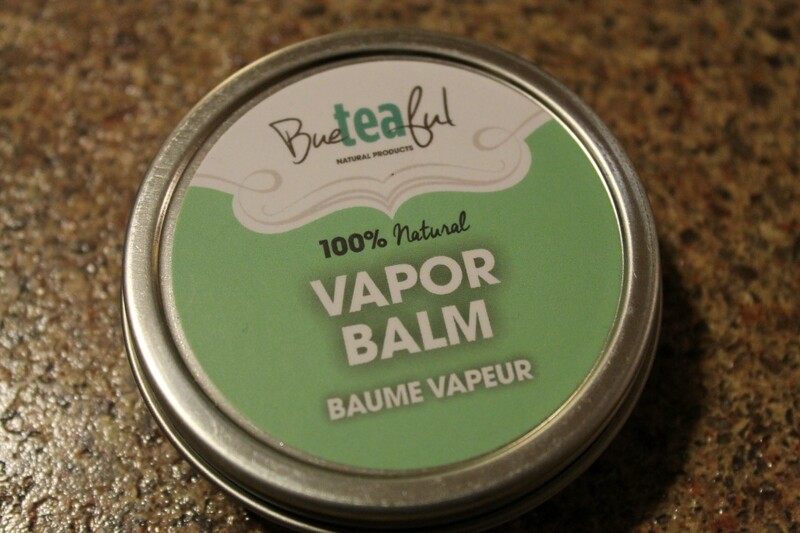 The vapor balm was the only thing that helped my fiancé sleep at night with the last nasty cold virus he had. I wouldn’t be able to get through the winter without my healing peppermint lip balm to moisturize my poor chapped and cracked lips. Last, but not least, I couldn’t end the day without enjoying a delicious cup of organic comfortea before bed, a custom blend she designed for a customer. I try to buy local when I can and I am a huge advocate of using all natural and organic homemade products whenever possible (thank heavens my fiancé is on this band wagon as well). I couldn’t be more thrilled to support Bueteaful, not only because I love the products, but because I believe in the business ethics and practices. There is something special about being able to put a face to a company name and to talk to the owner when purchasing products. Do you shop local? 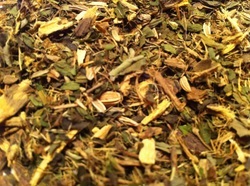 Check out Bueteaful’s tea of the month club. This entry was posted in Lifestyle, Reviews and tagged Body Products, Bueteaful, Dream, Farmers Market, Lifestyle, Live, Local, Natural, New Brunswick, Organic, Review, Turquoise Compass by Turquoise Compass. Bookmark the permalink. Looking for your wild y salve and stress balm. My sister tells me I should try it. I live on the Miramichi but travel to Fredericton, Moncton and Saint John. You should try their products! They are fabulous! Sorry for the radio silence; I was in the process of moving provinces (again).